"I am pretty sure his tail never stopped wagging!" 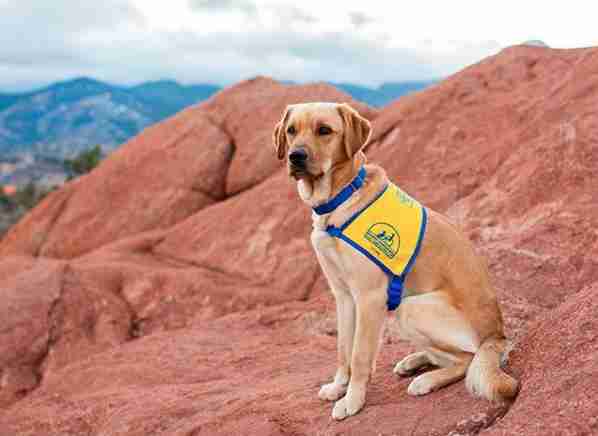 This is Elijah — a sweet-natured service dog in training. 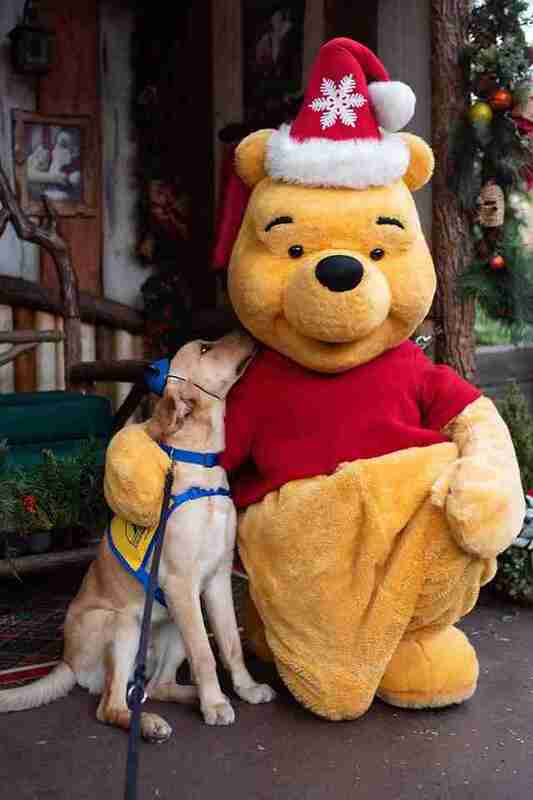 But though he's still learning the ropes when it comes to his future as a helpful canine companion, Elijah's having plenty of fun along the way. 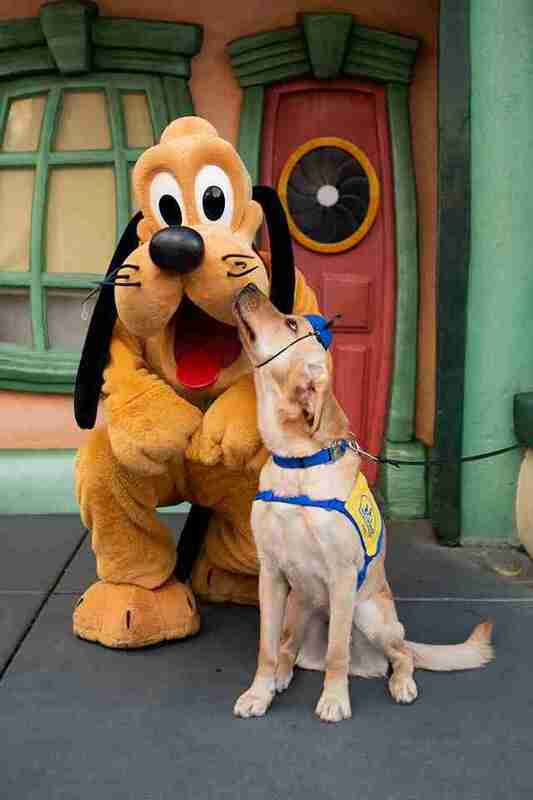 In fact, Elijah recently paid a visit to Disneyland — and the photos from the trip couldn't be more adorable. Elijah, who'll turn 2 years old in May, has been with caretaker Ashley Wilt since he was just 8 weeks old. Wilt is a volunteer puppy raiser for Canine Companions for Independence, a nonprofit that pairs service pups and people with disabilities free of charge. 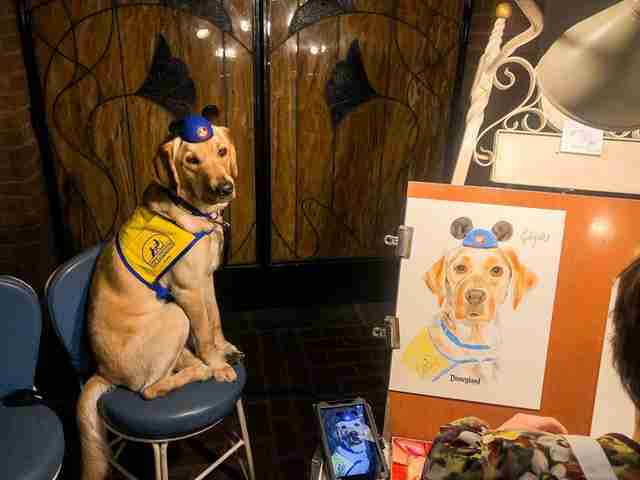 "The goal of a puppy raiser is to raise a confident and well-adjusted puppy that will succeed in professional training and eventually have a future as a service dog," Wilt told The Dodo. And part of Elijah's training involves getting him accustomed to new people and situations. But, as you'll see, that needn't be a bore. Wilt decided to take Elijah to the "happiest place on Earth" — and that tagline proved true. At the park, Elijah got to meet all his favorite characters. And they were just as happy to see him, too. 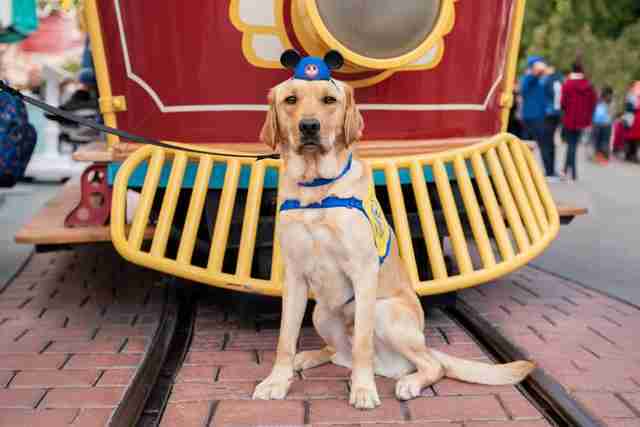 "Elijah had a great time at Disneyland and I am pretty sure his tail never stopped wagging!" Wilt said. But the trip, of course, was more than just a fun vacation. 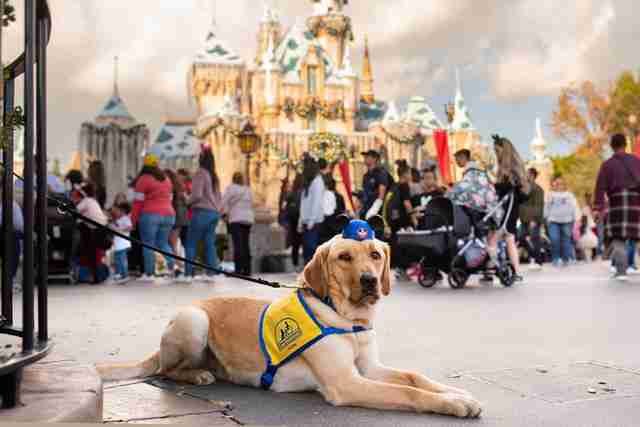 "While going to Disney isn't typically in the daily routine of a working service dog, many of the things in the parks were things he could encounter in the real world, day-to-day," Wilt said. 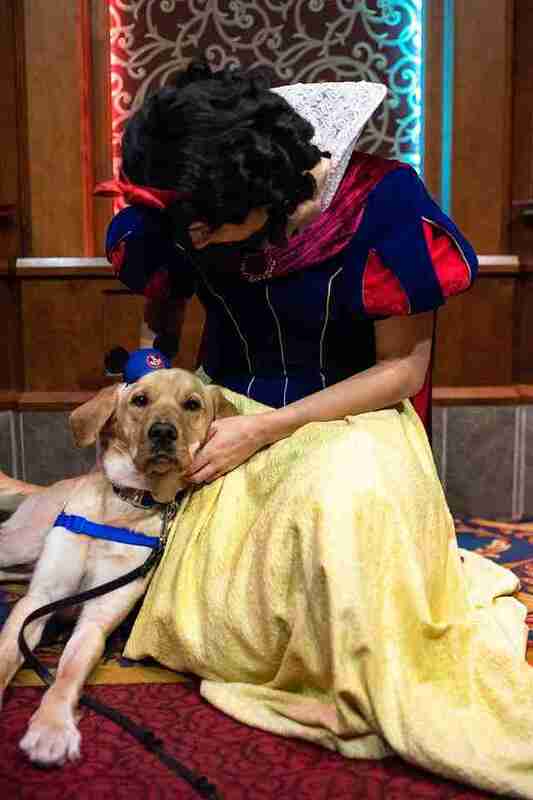 "Every training outing we do is to help better prepare him for his future role as a service dog." In other words, this portrait wasn't the only thing Elijah took home with him. In just a few weeks, Wilt's time with Elijah will end as he starts the next chapter of his training with Canine Companions for Independence. Still, Wilt and Elijah will always have the memories they made together. And thanks to their relationship, the world will be a better place as Elijah's real work begins. "While the goodbyes are always hard, absolutely nothing beats seeing the dog you raised change another person’s life," Wilt said. "I may love that dog, but someone else NEEDS that dog. I can’t wait to see what Elijah chooses for his future!" 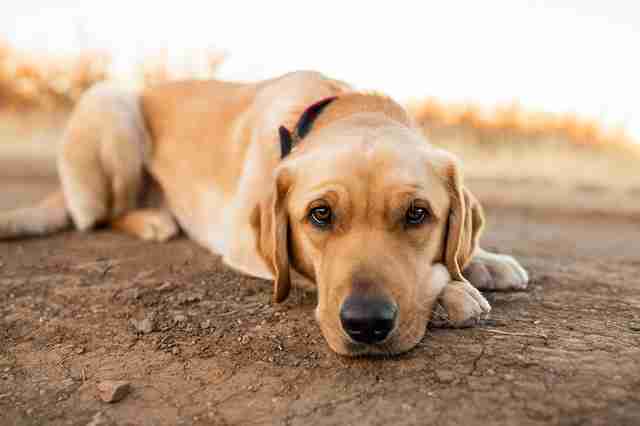 To learn more about Canine Companions for Independence, and to find out how you can get involved, visit the group's website.